We all know how hard it can be to communicate with other people, let alone dogs. Hey Dog! Let’s Talk! looks at how a dog’s body language may reflect how he feels. Follow Hey Dog and his friends as they show your child that using the ‘Stand-Still’ approach and giving the dog a choice are the two keys to earning trust and staying safe. Understanding the reasons behind your pet’s unwanted behaviour is the key to resolving it. If you are struggling to find an answer, I may be able to help. Hey Dog Pet Behaviour and Training offers home-based workshops for you and your family to help you develop more confidence in managing a household with dogs and children. Not only will any concerns about your child be addressed, but the needs of the dog will always be considered as well. If you are interested, click the button below. Would you like a fun, interactive talk for your school or children’s club? 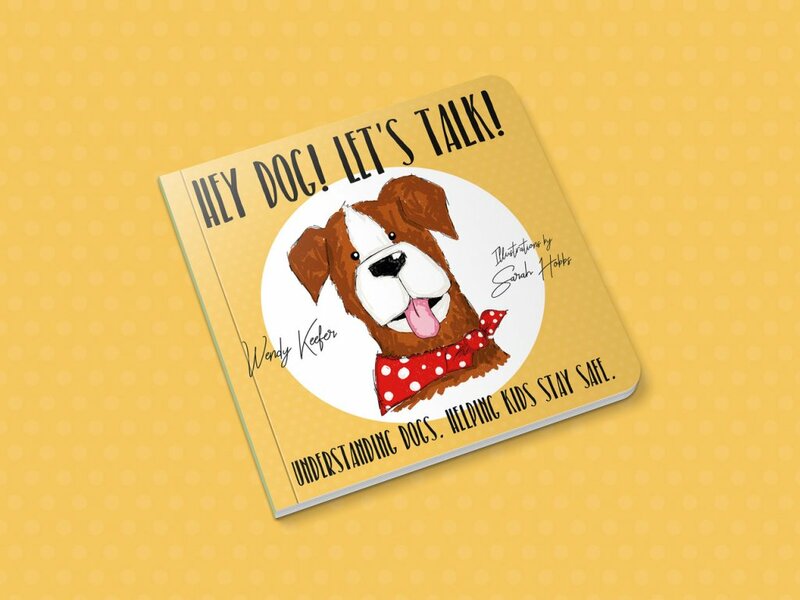 Hey Dog does dog/child safety talks for under 10 year olds that will keep them entertained whilst learning important lessons about reading dog body language and how to behave safely and respectfully around dogs themselves. Parents talks are also available. In one of my dogs, Wendy has met the challenge of a deep-seated problem with great depth of knowledge and patience and has shown me the coping mechanisms for his behaviour. Wendy has a most professional and compassionate attitude to the animals and their owners and this owner is truly grateful. Hello Wendy. Annie is a new dog. No hackles or anything. She wags her tail when she sees our 2 year old now! We very much appreciate your help with this. Would you like a testimonial for your website?